Whether you're building a new deck, gazebo, or cabana, Sundeck Supply carries the best brands of railings available. 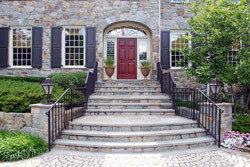 We carry the unique materials that will make your outdoor railings truly yours to hold on to. Some railing options we carry include iron, aluminum, and vinyl, with an unlimited supply of variations that will make your outdoor oasis unique.